Installation disks are starting to be considered obsolete, and a digital download is becoming the default distribution method. We’re all familiar with how long downloading software takes; some longer and some shorter depending on file size and download speed. Whatever specs you may have, we can all agree on one thing: we only want to have to download the file(s) once! An error in the download/install process can delay productivity for days and can cause unnecessary frustration. Here at CAD Masters, we want to help make your download and installation process easy. 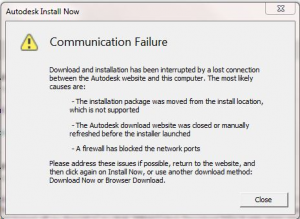 First, in order to download your software, you must have your login ID and password to the Autodesk subscription website: http://subscription.autodesk.com. If you’re having difficulty logging in to the Subscription Center, see this blog post. Once logged in, click Downloads, and then click Download Your Product Software. This should take you to the page where you can download the software available to your company. Download Now will do the same as Install Now, except you have to manually start the setup process. This is still prone to the same communication failure displayed above. 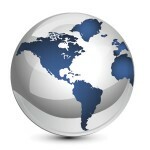 Browser Download will download the files you need the normal way browsers download files. Help me Decide will run through descriptions of each option and recommend which is best for you. The descriptions will tell you to use Install Now and the Download Now options over the Browser Download option because they say that it handles broken connections better, but actually the opposite is true. From the previous explanations, you can probably see that, I recommend the Browser Download option which is a good choice for a couple of reasons. If you turn off your computer, close your browser, or lose internet connection the download will simply pause until you have opened up the browser again upon which it will either automatically resume, or you can manually resume them, depending on the browser. It will download the compressed file(s) to a folder which you specify. After downloading the files, you can put them on the network, external hard drive, flash drive, or burn them to a DVD and never have to download them again! Even the suites are less than 20 GB in their compressed format. Instructions on how to download multiple files are described at the end of this blog post. Now that your compressed files are downloaded, we no longer have to rely on the internet to install. In your download directory, you should have some .exe files. 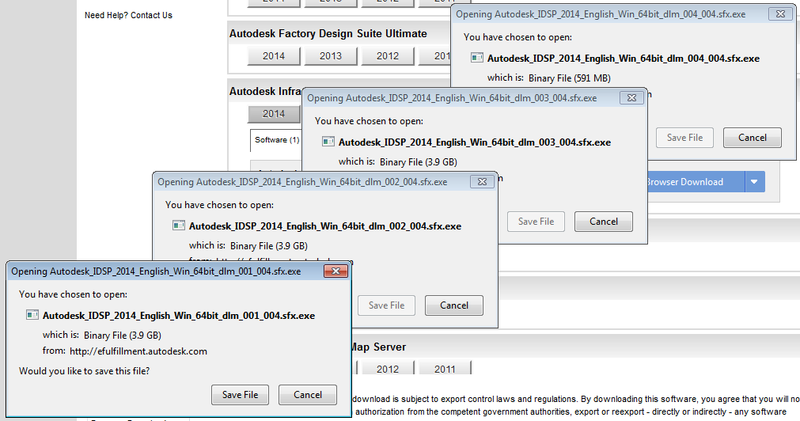 If you have more than one, double click the one that says 001_00X (1 of 4) and select a destination folder to extract the contents to, the default is C:\Autodesk. In that folder where you extracted the files, open the folder for the software you want to install, and then double click the setup.exe file within it. In my opinion, the process of downloading all the files is the smoothest in Firefox. It also automatically resumes downloads if you happen to close your browser. I’ll be using Infrastructure Design Suite Premium as an example. When you click Browser Download in Firefox, 4 save file boxes will pop up, one on top of each other. All you have to do is activate each one and click save 4 times. When you click Browser Download in Google Chrome, it might seem confusing at first, because all it will do is open up a separate browser with a completely blank page if you are using the default Chrome settings. But don’t worry, all four downloads will have started if you look at your downloads. Internet Explorer is fairly different and has a popup blocker that will block the downloads the first time you try Browser Download. It’s confusing because it will allow one file to go through. If you click Allow once, it will now allow popups from this site, but you’ll have to reselect the Browser Download option so all 4 files will pop up again. 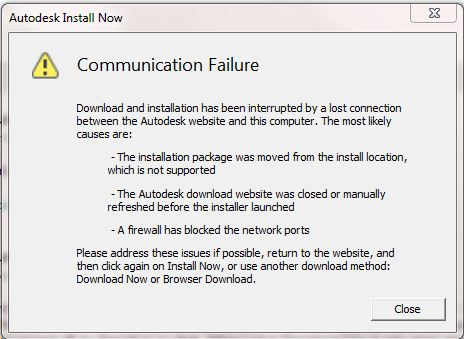 To prevent this message in the future on the Autodesk Subscription website, click Options for this Site, and click Always allow . Either way, after allowing popups, it still blocks the ones you just downloaded, so you’ll have to click the Browser Download button again. Subscription Series: Where’s My Software?